As I walked around the exhibit hall during Kentucky Crafted: The Market this year, I saw many booths that looked fresh and enticing. This exhibition is a showcase for the Kentucky Crafted Program, which is now entering its 30th year. Several visitors told me that the booths looked better than ever. This got me thinking about the valuable role competition plays in the arts. Competition provides fuel for the drive to create. The best artists I know share a desire to make the next piece better than the last. They realize that presenting new work to the world places them in a competition. Whether it’s with living artists, dead artists, their self-image or some other entity is irrelevant. The struggle is there, they embrace it and it pushes them forward. One-upmanship often inspires growth. You can see this at the Market where most of the exhibitors return regularly. 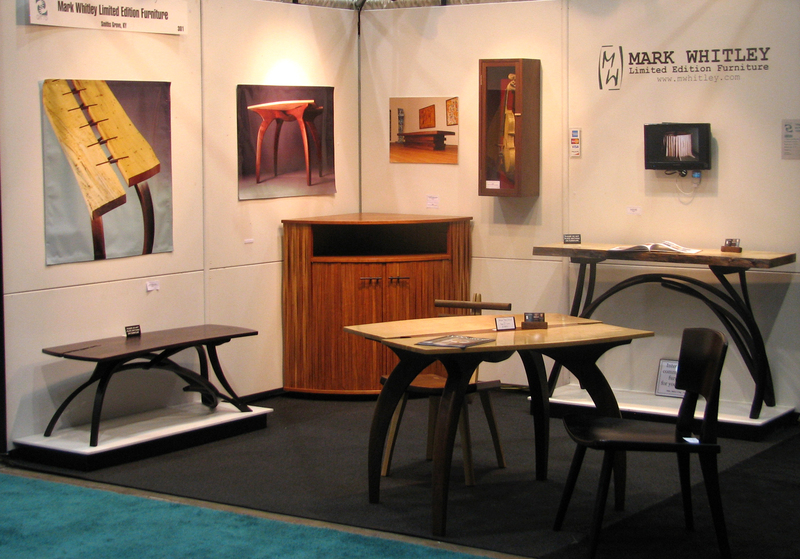 When they see their fellow artists improving their booths, they feel challenged to do the same. New participants of the Kentucky Crafted Program attend an orientation that includes a booth design session. Dan Neil Barnes has done a superb job presenting this over the last several years. As a result, many new exhibitors have sophisticated booth displays that attract a lot of attention. This provides inspiration and challenges to the program’s veterans. Helping Kentucky’s craft and visual artists compete in a global market is one goal of the Kentucky Crafted Program. We set high standards for the creation and presentation of artwork as a means of achieving this goal. Meeting these standards is challenging and the effort to do so inspires excellence. Artists who successfully apply to the program enter into a long-term relationship with it. They receive training, feedback and resources for improvement. They are challenged to uphold its standards. An artist’s performance at a particular show can always be affected by unpredictable conditions. A successful show is uplifting, an unsuccessful one is frustrating, but the will to excel regardless of circumstance is the key to artistic longevity.